Everyone’s Key Whom Desires to Know More About Wine Especially When it Comes to Understanding Their Own Palates! Everyone desires to know more about wine especially when it comes to understanding their own palates. This is Charlotte Chipperfield’s mission. To be able to educate and consult one-on-one, in small groups, or through The Boozy Academy, which are e-courses provided to those in the comfort of their own home. 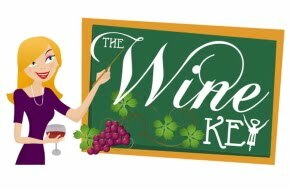 The Wine Key creates a fun and informative environment that takes one back to the pure basics of wine. In the end, an overall wine experience post-course will give an enhanced trust in your palate in order to make the best wine decisions. · The Pop-up Wine School allows Charlotte to teach in-person where wine lovers can find her “popping-up” in her favorite wine bar or restaurant around the United States to teach classes or consult. · The Boozy Academy e-courses are designed to be taken from the comfort of you or someone else’s home as well as provide the opportunity to learn about wine from wherever you may be and not have to attend a live class. · For someone looking to dive deeper in the wine barrel and receive one-on-one attention while truly reshaping their knowledge and wine lifestyle for 12 weeks, the choice e-course would be the Private 1-on-1. · The Wine 101 Group e-course would be just 6 weeks long and can enjoy with friends the information about vineyards, their grapes, winemaking/production, food and wine pairings, wines around the world, as much more. · Harvest & Productions, this seasonal wine e-course is 6 weeks as well covers the major growing regions of the northern hemisphere during harvests, what makes a great vineyard, other major growing regions, updates from around the world, and much more. Also known as “The Palate” due to her impeccable ability to describe wine in the most ridiculous yet often accurate manner. She is the Founder and Wine Educator of The Wine Key. Charlotte has over 10 years experience in the Wine Industry and Hospitality. She has worked as a Cellar Rat, (Yep! That's a real jobtitle), Tasting Room Manager, Sommelier and Wine Writer. Through these experiences, Charlotte has seen a disconnect between wine knowledge and the enjoyment of wine. Her mission in the wine world is to bridge the gap.